Apprising Ministries continues doing what we can to alert spiritually obtuse pretending to be Protestant evangelicals to the grave dangers and deceptions of embracing the Contemplative Spirituality/Mysticism (CSM) perpetrated by Living Spiritual Teacher and Quaker mystic Richard Foster, along with his friend and spiritual twin SBC minister Dallas Willard, as so-called Spiritual Formation (SF). But CSM is nothing more than refried Roman Catholic mysticism with its pietism and asceticism romanticized for those who are ignorant of Church history. With this in mind I will also tell you plainly that CSM found its way into mainstream evangelicalism through its foolish embrace of the sinfully ecumenical Emergent Church aka Emerging Church, a neo-liberal cult now operating within it. The EC’s postmodern form of “big tent” Emergence Christianity is the putrid spiritual fruit of critical thinking skills-numbing CSM. Here you’ll see another example of the fetid fruit of this counter-Reformation spirituality that’s now spread deeply into squishy evanjellyfish through the evolution of this Liberalism 2.0. 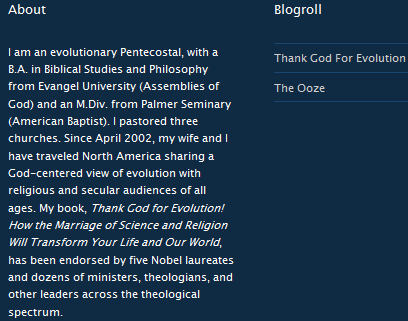 In posts like Michael Dowd & Spencer Burke—Integrity And Evolutionary Christianity (Part 2), Michael Dowd And Science Fiction Christianity, and Mental Off-Roading Radio With Doug Pagitt And Michael Dowd I’ve introduced you to Rev. 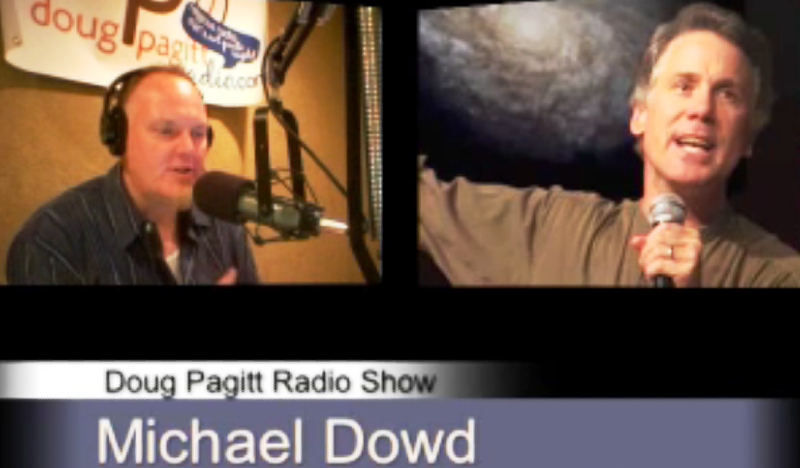 Michael Dowd, whom I first brought to your attention in Jesus Died For Our Reptilian Brain. You’ll soon find out that with men like Dowd we’re mentally off-roading as we head deep into the postmodern Wonderland of Humpty Dumpty language where they bend and shape words into whatever Play-Doh shapes they wish to. For a while now I have been warning you that there is a tsunami of apostasy—pushed along by 1 Peter 4:17 judgments—headed toward the church visible. Not a few of these judgments have come through evanjellyfish’s foolish embrace of the Emergent Church, headed by the unholy EC trinity of apostates, Living Spiritual Teacher and EC guru Brian McLaren, universalist Emerging Church pastor Doug Pagitt, and his friend Tony Jones, the progressive “theologian in residence” at Solomon’s Porch. The price is only beginning to be paid from years of mainstream evangelical churches using the warped and toxic teachings of these rebels against the final authority of God’s Word in their own Young Adult and Youth ministries thereby infecting them with this new postmodern form of Progressive Christianity. I’ve also told you that this neo-liberal cult is also incorporating emergence theory of evolutionary science because many in the EC believe that, right now, mankind is evolving upward into a higher state of consciousness; and in their delusions (cf. 2 Thessalonians 2:9-12) these neo-Gnostics feel their CSM—and particularly the transcendental meditation for the Christian they call Contemplative/Centering Prayer—plays a huge role in this alleged evolution. Human beings are literally the universe after some 14 billion years of unbroken evolution now becoming conscious of itself. We are literally nature uncovering it’s own nature…we all have come to ways of relating to reality… When we remember that God is a sacred, meaningful personification (not a person) all of the sudden not only does that make sense of all the world’s religious traditions and their differences, but it also allows us to see that there’s no conflict between science and religion. Meanwhile, Barbara Marx Hubbard and her New Spirituality friends are promoting their upcoming Shift Retreat where they are also going to be addressing evolutionary spirituality. This is where all the teaching on evolution was eventually headed–not into atheism, but to this global spirituality with man at the center and on the throne. As Hubbard declares in her demonic retelling of the book of Revelation, those who will not participate will face judgment day. Doug Pagitt, Brian McLaren, Spencer Burke, Sally Morgenthaler and anyone who legitimizes them by participating with them in their conferences, books, and online seminars are helping to promote the doctrines of demons. Those who refuse to come out from among these men and women and stay clean from their lies are participants in with them.